April 13th is International Record Store Day. 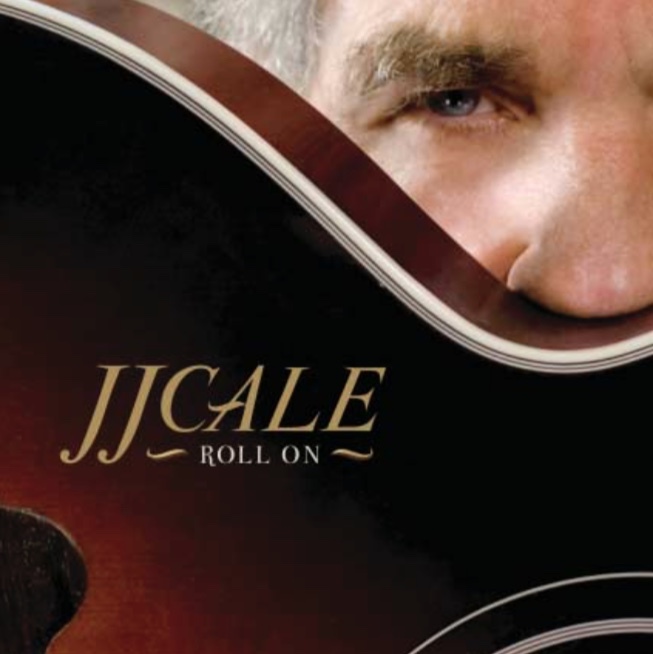 Support your local indie store and check out this very special JJ Cale release. 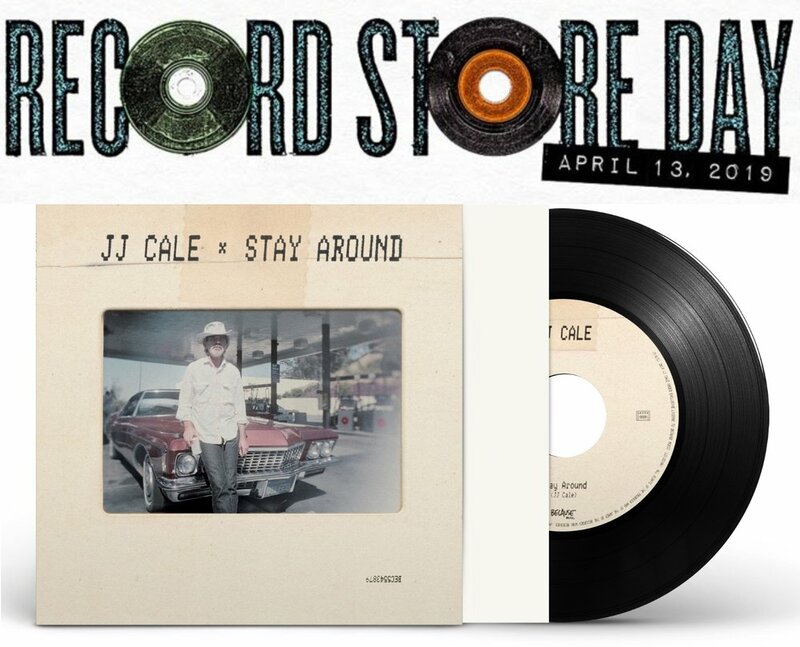 This limited 7" features the title track of the new JJ Cale album, Stay Around, coupled with Worrying Off Your Mind, a rare B side from the Roll On sessions. Yes there is unreleased JJ Cale material and it's planned for a spring 2019 release on Because Music! Many of you have been asking and hoping that there was more unheard JJ Cale material and, yes, there is. Indeed JJ Cale did have an album's worth of material that was unreleased at the time of his passing in 2013 and it will be available soon. We will be sharing more details about the project in September but know that these songs and the production are right up there with Cale's best material. We'll be back to you next month with more. Please note that images shown here do not reflect cover art as that is yet to be confirmed. Brand new JJ Cale T-shirts are on sale now via the official store! A huge loss. While Tom Petty and JJ Cale were label mates on Shelter Records they didn't really know each other well. Tom had a deep admiration for Cale, though, and would regularly play his songs in sound checks and during shows. In March of 2009 Tom came to McCabe's in Santa Monica where Cale was doing a warm up show for his tour. Fellow Heartbreaker, Mike Campbell, and Tom had been invited to sit in. Cale asked Tom in the dressing room what song he'd like to do and Tom said "I'd Like To Love You Baby (And Keep My Other Baby Too)". Cale said he hadn't played the song once since the day he recorded it about 35 years earlier. So it was a treat to see Tom Petty teach JJ Cale his own song in the dressing room before going on stage. When Cale passed away, Tom recorded his version of Cale's "Old Man And Me" and shared vocals with Eric Clapton on Cale's "I Got The Same Old Blues" and "Rock And Roll Records" on Eric's Tribute to Cale, The Breeze. Posted on JJ Cale Official Facebook page - by Mike Kappus, JJ Cale's long-time manager and friend. Eric Clapton's Live In San Diego With Special Guest JJ Cale is set for release on DVD and Blu-ray on March 10, 2017. The release coincides with the 10th anniversary of the recording of the show, at iPayOne Center on March 15, 2007. JJ Cale performed on five of his own songs (as well as being featured on two bonus tracks) with Eric Clapton and his band. You can see the obvious joy that each artist took in collaborating with the other on stage in the video above. In addition to "Anyway The Wind Blows", the record features Cale and Eric performing Cale's "After Midnight", "Who Am I Telling You", "Don't Cry Sister" and Cocaine". Also featured on the album are Derek Trucks, Doyle Bramhall II, Robert Cray (although not during Cale segment), Steve Jordan, Willie Weeks, Chris Stainton, Tim Carmon, Michelle John and Sharon White. Troubadour, '5', and Shades have been reissued in a three album set (street date June 3rd, 2016). The reissues coincide with the 40th anniversary of Troubadour, which was originally released in 1976 and contains the iconic songs "Cocaine" and "Travelin' Light". The follow up album, '5', was released in 1979. This album features "Sensitive Kind", a later hit single for Santana when he covered it. In 1981 Cale released Shades, which features such live favorites as "Carry On" and "Mama Don't". This album also includes a who's who of renowned musicians: Tommy Tedesco, Gordon Shryock, Reggie Young, James Burton, Bill Boatman, Johnny Christopher, Tommy Cogbill, Nick Rather, Emory Gordy Jr., Carol Kaye, Michael Rhodes, Jim Keltner, Christine Lakeland, Gary Allen, Hal Blaine, Hayword Bishop, Kenneth A. Buttrey, Karl Himmel, Russ Kunkel, Larry Bell, David Briggs, Leon Russell, Bill Payne, Glen D. Hardin, Bobby Emmons, Jimmy Karstein and Denis Solee. The three album set has been released in Europe and the rest of the World (excluding USA), and can be ordered via Amazon Germany. 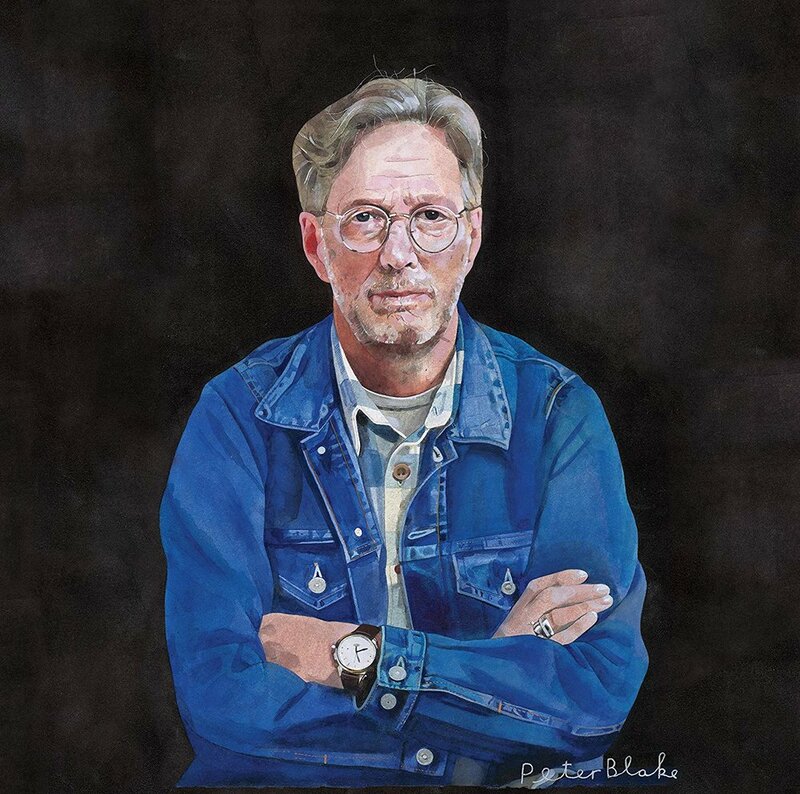 Finally, Congratulations to Eric Clapton for hitting the top 10 on the US Billboard Chart with his latest studio album, I Still Do. Eric's 23rd studio album entered the chart at #6 and includes two covers of previously unreleased JJ Cale songs, "Can't Let You Do It" and "Somebody's Knockin' ". JJ Cale's "After Midnight" and "Cocaine" are both featured in Eric Clapton's just released limited edition live LP box set collection. 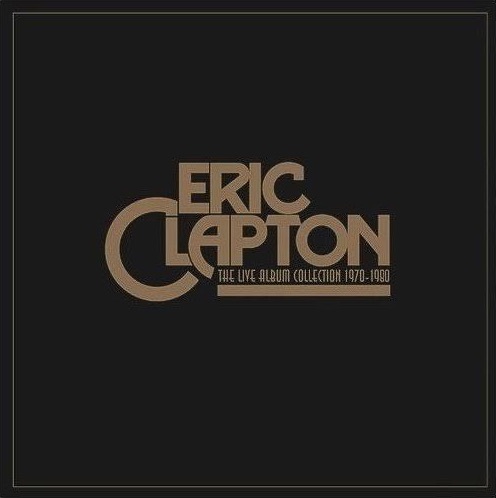 The collection includes four classic live albums from Clapton's Polydor/RSO label period - 1970 to 1980: Derek And The Dominos In Concert, Eric Clapton's Rainbow Concert, E.C. Was Here, and Just One Night. The Live Album Collection is available now. On May 20, Eric releases his new, and 23rd, studio album, I Still Do. The album sees Clapton reunited with producer Glyn Johns, a partnership first established nearly 40 years ago with the iconic Slowhand recording sessions. I Still Do follows on from 2014's studio album, Eric Clapton & Friends: The Breeze, An Appreciation of JJ Cale, and features two JJ Cale penned songs "Can't Let You Do It" and "Somebody's Knockin' On My Door " - a nod to the enduring legacy of JJ Cale's music and mutual respect between the two artists. The lead song off the forthcoming album is JJ Cale's "Can't Let You Do It" and there's an official lyric video accompanying the song's release. I Still Do will be released via Clapton's Bushbranch Records/Surfdog. 2018-10 New Album Coming Soon! 2009-03 "JJ Cale Is Our Hero"